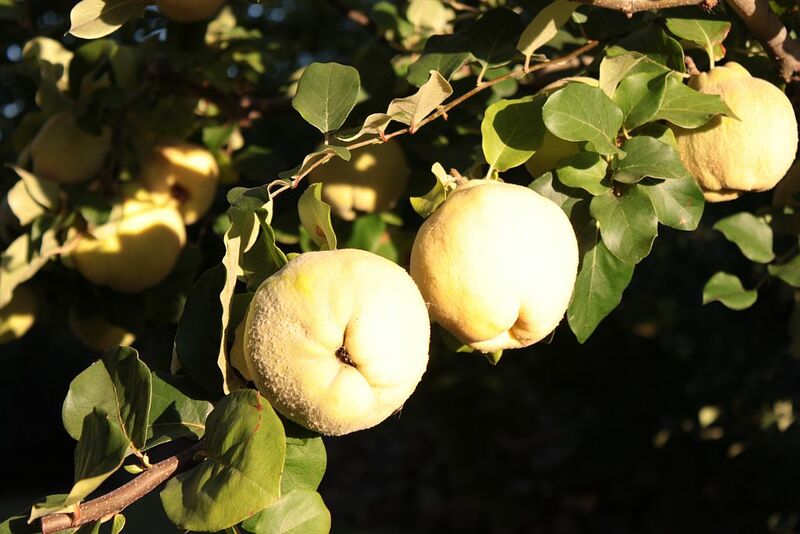 Quinces are steeped in a history stretching back nearly 4 000 years in the Caspian Sea area and particularly around ancient Babylon. This curious shaped ‘apple’ will perfume the air of any room with their intense aroma, released from where they may rest in a bowl or basket. 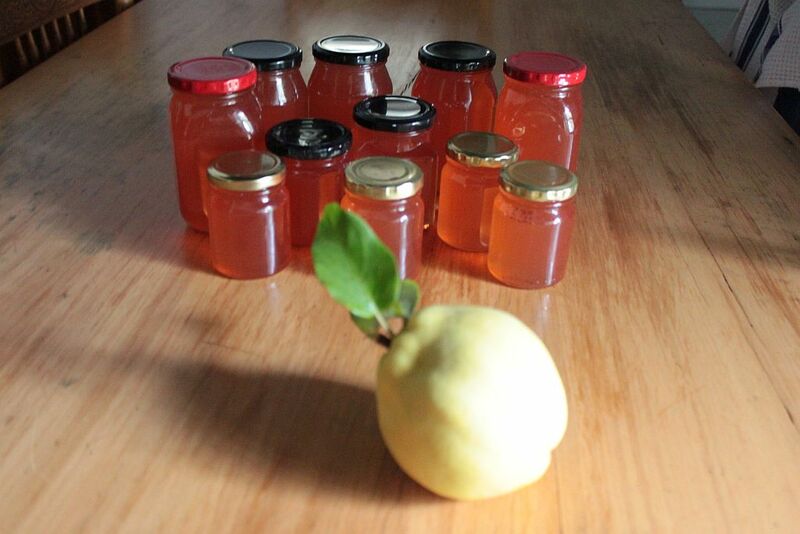 It is versatile and can be cooked or roasted and used for jams, marmalade, jellies, pudding or in stews. 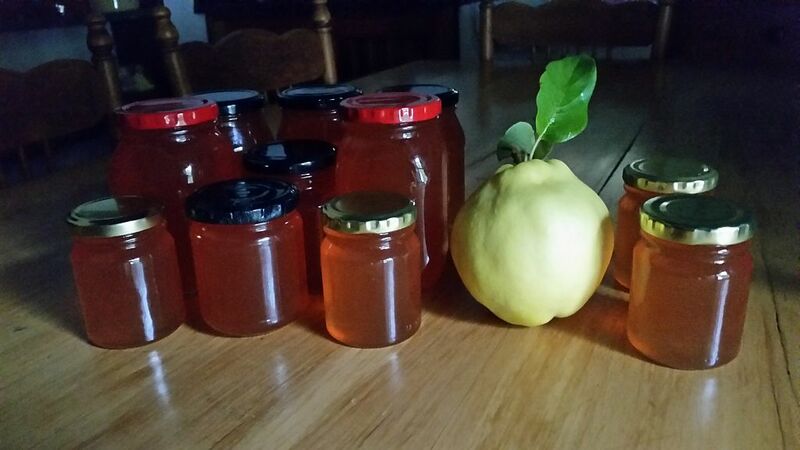 Over the weekend, while I acted as tourist-guide for our friend and her two children visiting from Canada, Keith decided to make quince jelly. In this way he could escape the road-works and seemingly endless ‘stop-goes’ that currently occur between the neighbouring towns of Ashton and Montagu. Coming home just before lunch, the aroma of quinces cooking met me on the stone kitchen stoep as I came around the corner of the house. The cool fragrant house was in contrast to the 38°C outside. 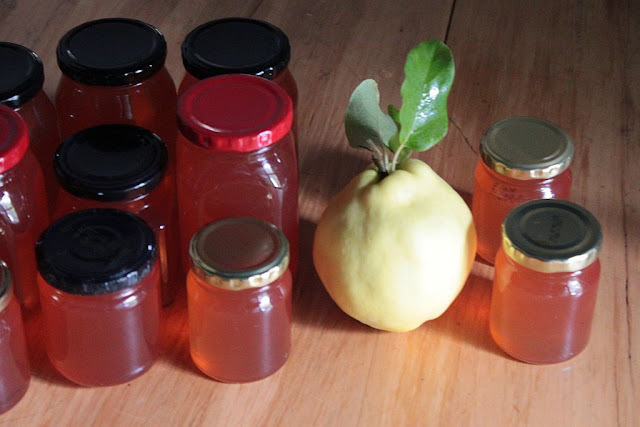 Quince jelly is quite an intense process of cooking, of straining pulp, and of cooking and straining a second time before the sugar is added to the juice for the final cooking. The pink jelly is worth all the trouble. It can lift a venison dish and transform a cold leg of lamb into something quite exotic. The ancient Greeks believed that quince trees sprung up from wherever Aphrodite stepped when she was born from the foaming sea, thus linking the fruits with love and fertility. For this reason, the fruit was often offered as a wedding gift by both the Greeks and Romans. 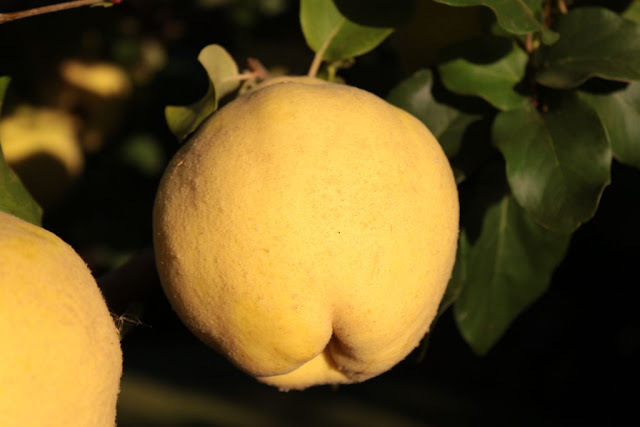 Quinces symbolise love and fertility and consequently, all quince trees were sacred to Aphrodite, the goddess of love. Greek brides would bite into a quince to perfume her kiss before entering the bridal chamber. 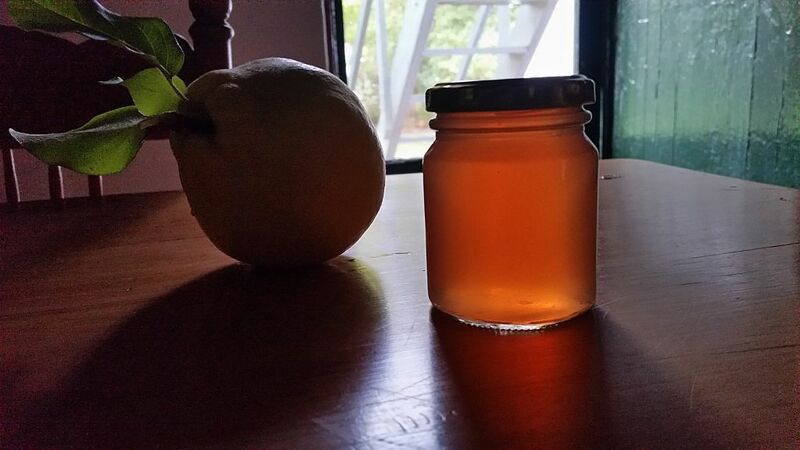 I think Aphrodite would approve of the quince jelly that was made in the Towerwater kitchen on Saturday. I love the mythology of the quince, thanks. Now to find someone about to marry!